I had just taken my first few bites of vegan coconut-carmel gelato from the local ice cream shop. I have nut allergies, but I’d eaten other vegan gelato from the same shop. I figured the coconut-carmel variety would be safe, too. It’s the one time you don’t ask about ingredients, you know? Within seconds, I started to feel that familiar, itchy dryness invade my mouth. It was like I’d swallowed a square of sandpaper. I put down my plastic spoon and scrutinized my ice cream. “I think I’m allergic to this,” I said. Artem stopped munching on his chocolate-lavender-coffee-whatever-regular-dairy gelato and looked at me. But I was already popping Fast-Melt Benadryl and watching the rest of my gelato melt into a sad puddle in its paper cup. I knew I wouldn’t be eating the rest. Paleo with nut allergies can be tough. I’ve dealt with severe nut allergies (and less severe, but still very un-fun allergies to sunflower seeds, pumpkin seeds and chia seeds) since childhood. There’s no rhyme or reason to the allergies—some tree nuts I can tolerate, while others will send me to the hospital. 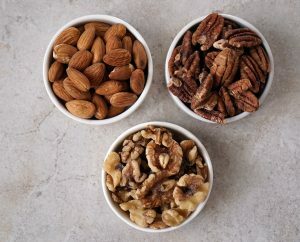 And the sad reality of eating Paleo is that nuts are a very popular substitute for dairy and grains, so I have to be on high alert all the time if I choose to eat out. I’ve learned my lesson the hard way. Many, many times, in fact—the most recent being the Cashew-in-My-Gelato Incident of 2016. I always kick myself when something like this happens, because I should know better than to order without asking about ingredients. Back in 2010, I accidentally ate a cashew in some salad dressing. Then I took a fun ride in an ambulance. Fortunately, I can eat almonds. I can also eat pecans, walnuts, hazelnuts and peanuts (and most seeds like sesame and hemp). But I don’t like to use tons of almond products in my cooking, mostly because nut oils contain inflammatory Omega-6 oils. Omega-6 isn’t healthy to consume in high doses all the time. Also, I’ve heard of people developing nut allergies after eating too many nuts, too often. 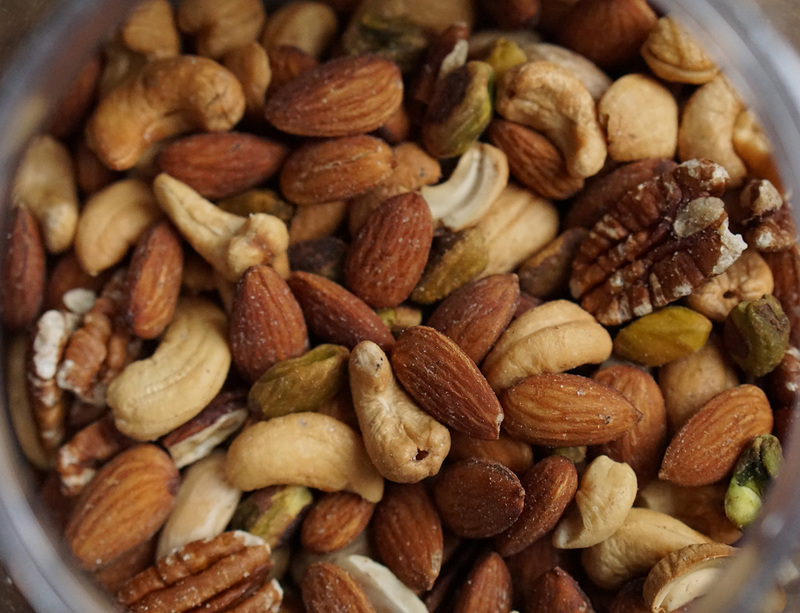 I count myself lucky that I can tolerate at least SOME nuts and seeds—I would hate to add almonds to the list of things I absolutely cannot eat. Coconut tops the Paleo diet food list. It’s technically a nut, I guess, but very few people with nut allergies are also allergic to coconut. And that includes me! I use some variation of coconut in many of my recipes. Canned coconut milk is the ideal cream/milk substitute. I prefer the canned variety over cartons from the refrigerated section of the store, as the latter often contains lots of unnecessary fillers. I also like how similar canned coconut milk is to heavy cream. It makes a mean whipped cream and tastes fabulous in hot beverages. Best of all, it thins out nicely when cooked. That means you can use canned coconut milk for Thai-style curries and creamy sauces. My preferred flours are coconut and tigernut flour, with some tapioca and arrowroot on occasion. Tigernuts, by the way, are not actually nuts. They’re tubers. You can read more about them in this brownie recipe. Coconut flour is amazing when used with the right proportion of liquid and eggs. It can be the driest, most crumbly garbage in the world if used incorrectly, but I’ve made enough recipes with it that I’ve figured out how to make it work FOR rather than AGAINST my baked goods. Befriend coconut products (provided you’re not allergic to coconut, too). As discussed above, coconut now comes in almost every iteration you can imagine. From flour to milk to soy sauce substitutes, it’s nothing short of astounding to see how many ways you can eat coconut as a replacement for regular wheat, milk, nut and soy products. You can even use coconut butter instead of nut butter. Ask about ingredients. Every. Single. Time. It doesn’t matter if you’re getting a scoop of benign-looking gelato or ordering a steak—nuts and seeds, like gluten, can sometimes hide in the most unlikely places. And don’t think you’re bothering your restaurant server by telling them about your food allergies. Trust me, they WANT you to tell them. For camping and hiking, go back to the basics. Avocado, homemade beef jerky, Epic bars, canned fish and hardboiled eggs are excellent sources of protein and fat, and you can supplement carbs with fruit, raw veggies, and even raw tigernuts. I like to make coconut flour muffins in advance and then throw a few in my pack. The amount of eggs and coconut flour I use per dozen muffins usually provides adequate protein. For smoothies and protein shakes, try collagen peptides. Collagen is very similar to gelatin, but it mixes easily into cold or hot liquid. It’s tasteless, but it’s high in protein and helps the body rebuild tissue. Keep an emergency kit on hand. My throat has never closed up from an allergic reaction, but I always keep a few things with me: an Epi-Pen, Fast-Melt Benadryl, and Standard Process’ Antronex. Antronex dilates blood vessels in the liver, making it easier for the body to quickly process allergens. For milder reactions, I take 2 Antronex every half hour until I feel better. What do you do to cope with and handle your food allergies?